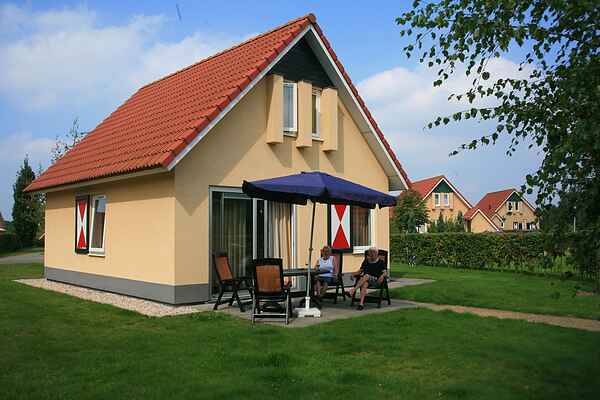 The spacious detached holiday houses are divided over the water rich Villa Park Akenveen. They are carefully decorated and are located on spacious plots. You can also choose a 4-pers. variant (NL-9482-01) or a 6-pers. variant (NL-9482-02). With the latter you will have a 2-pers. boxbed or a double sofabed in the living room. The NL-9482-03 variant is a luxurious thatched house with a modern fireplace, two bathrooms and box spring beds, among other amenities. All houses have a garden with terrace and garden furniture.